"So you are the little woman who wrote the book that started this great war." "To Harriett Beecher Stowe, whose name, throughout the world, is identified with the GREAT REFORM: This narrative, affording another Key to Uncle Tom's Cabin, is respectfully dedicated." "There’s a... fearful sin resting on this nation that will not go unpunished forever. There will be a reckoning yet." Enhance your experience of the book and the most anticipated motion picture of 2013 starring Brad Pitt (coming December). No purchase required. 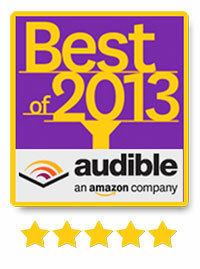 Click on Audiobook Download (above), then select Audible. On Audible's site, click on the blue link in their Publisher's Summary called "Download the accompanying reference guide". This fascinating Extra was produced by Dr. Sue Eakin based on her lifetime of research on the story. It includes her expandable map of 1840s Louisiana Bayou Boeuf Plantation Country and shows the tracts of land owned by the area's slave masters mentioned in the narrative... plus other surprises! A unique historical document created for your library.